It can sometimes be difficult to find the type of clothing you truly want to spend your money on, and so with this in mind, the launch of a fresh, new brand, Roman Republic, is set to revitalise the creativity in fashion. The label is the brainchild of 19 year-old Jack Thomson, who found that the big brands were not catering to his tastes. As a student, who also produced music and did graphic design, he decided to use his skills to create T-shirts, hoodies and snap-back caps that he would want to wear, while developing his skills as a designer. Roman patterns were always something he was fascinated by, and coupled with a love of art, this led to him discovering his designing trademark. 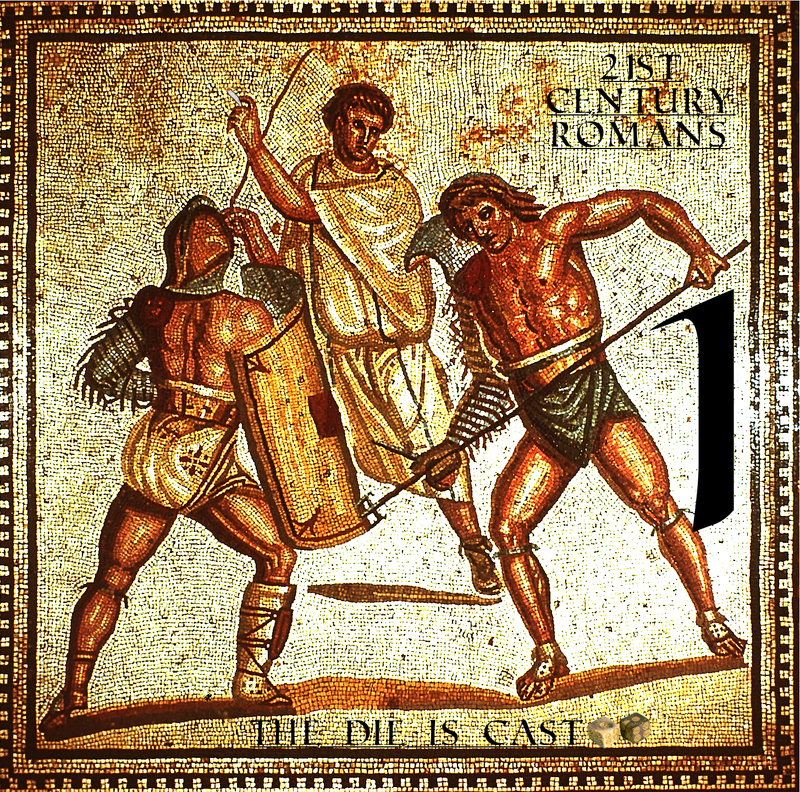 Roman Republic presents “The Die Is Cast” the new release from 21st Century Romans. 21st Century Romans is a new hip hop act that has a new modern twist to the classic hip hop group and dj and rappers formula. Their sound is an American and British fusion of hip hop, mixing the sounds of Old Skool with New Skool.They have influences from other groups such as De La Soul, A Tribe Called Quest, The Pharcyde, Slum Village, Little Brother and many more. Using a mixture of samples and live instruments, this EP tells a personal story about 3 guys telling the world about their trials and tribulations through their music and lyrics. They have grown up in central London and are dreaming of a better life as they go though a defining moment where they try to get out there with their fresh sound. 21CR (producer): Jack Thomson also known as 21CR is a London based producer JDTs music and sound of his production is reminiscent of such sounds as Moby and 9th wonder. His production style is a mix of America and British sounds. He spends his time making instrumentals and DJs sets on his machine. He plans to bring true emotions to his music in what ever way he can. Rafiki Rhymes(rapper): Arik Raviv (a.k.a. Rafiki Rhymes) was born and raised in New York City. In high school, he took an English class that introduced him to spoken word poetry, and from there he translated his skills to MC-ing. Like Slick Rick and Lupe Fiasco, his strength as a rapper is in storytelling. This skill, he says, is a natural extension of his greatest strength: the art of bullshitting. J.J(rapper): Jordan James also known as (Jay or JJ) is a rapper from London who is out to make music that people can relate to. He injects humour and a laidback sound but mainly wants to take you on a journey using words through music. .